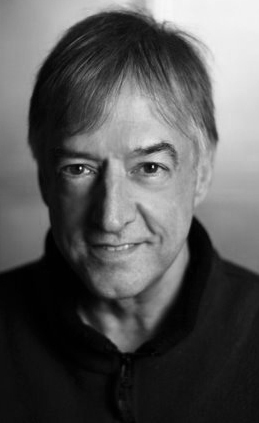 Director, actor, dramaturge, playwright, and educator, Stephen Heatley attended Brock University and the Canadian Mime School, and was awarded a masters degree in directing from the University of Alberta. He was a company member in the early years of the Carousel Players in St. Catharines, apprenticed as a director at Magnus Theatre in Thunder Bay, and went on to be Artistic Director of Theatre Network in Edmonton from 1981 to 1992. He was also Director of the Theatre School and Associate Artistic Director of the Citadel Theatre from 1994 to 1999. He is currently a faculty member in the Theatre Program at the University of British Columbia. During his tenure at Theatre Network he was instrumental in the creation and production of new Alberta plays providing opportunities for talented local playwrights. He produced fifty new plays and directed thirty of them. Titles include: Gravel Run by Conni Massing, Mail Order Bride by Robert Clinton, The Third Ascent by Frank Moher (for which he won a Sterling Award for Direction in 1988), and several premieres of the work of Raymond Storey (Country Chorale, The Angel of Death, Something in the Wind, The Last Bus). Stephen Heatley has also been an active participant since 2000 in the work of the Saskatchewan Playwrights Centre and has directed for the Bastion Theatre, Gateway Theatre, Alberta Theatre Projects, Chinook Theatre, Stage Polaris, Free Will Players, 25th Street Theatre, Shakespeare on the Saskatchewan, and the Blyth Festival. He co-wrote the Christmas musical The Other Side of the Pole with Marney Heatley and Edward Connell. Completing a Western Canadian five-city tour, Stephen and Richard Link performed their cabaret show Two Blondes with a Passion Do Death in Venice at the Edmonton International Fringe Festival, the Vancouver Fringe Festival and in Calgary, Saskatoon and Port Moody. He was invited to London to direct the Arts Council of England funded production of Heels of Glory.